1. Hire an experienced real estate professional: Buying a first home is a complex process. Your Berkshire Hathaway HomeServices professional will assist you through the hurdles of neighborhood searches, comparing homes, making an offer, inspections and appraisals, as well as help you identify the best values. 2. Check and repair your credit: Banks use your credit scores to make lending decisions, so make sure your credit is accurate and deficiency-free. Order your credit reports and scores by visiting http://www.annualcreditreport.com so you can make repairs, if needed. 3. Get pre-approved: To get pre-approval, you have to apply for a loan and share your income, work history, debts and other information. Your lender will confirm your down payment source, interest rate, type of loan and loan term. Only then will you know exactly how much home you can buy. 4. Check out federal, state and local government incentives: To learn about first-time home buyer programs, see: http://www.grants.gov or http://www.hud.gov. Click on Housing Authorities to find out what’s being offered in your community. 5. Prepare to compromise: There’s no perfect home, so you’ll have to prioritize your wish list. Older homes often need cosmetic work so expect to pay more for a home in pristine move-in condition. 6. Make a long-term investment: Equity is built over time, so plan to occupy your home for several years or more. Your home is also an investment in happiness and that can be the best deal you ever make. Buying a first home is a complex process, and it’s particularly challenging in a seller’s market when homes sell quickly and often over list price. In this type of market, it’s common to lose out on a home as others outbid you. Your Berkshire Hathaway HomeServices network professional can set you up for success by sharing what’s working and not working for buyers navigating a seller’s market. Many first-time buyers don’t realize how important getting representation is, whether they hire their own agent or use the seller’s agent. Hiring an agent affords buyers a fiduciary duty on the part of the real estate professional to protect interests of his or her client. When buyers purchase a home using the seller’s agent, the seller’s agent owes fiduciary duty to the seller, but also has a duty to be fair to the buyer. The first thing an agent will do is get you financially prepared to make a successful offer. He or she will give you the names of some good mortgage bankers so you can get prequalified for a mortgage. In fast markets, you may need at least 10 percent down to be competitive. Your agent will help you find the best value, neighborhood, and quality for your budget and requirements, as well as assist you through the search process, comparable homes sold, making an offer, inspection, repair, and appraisal processes. You’re ready to make an offer on the home of your dreams. This is the home you want for the next five to ten years but the speed of the marketplace means lots of competition from other buyers. So how do you make the one offer the seller will accept? 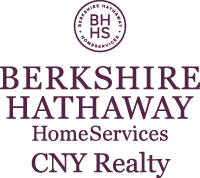 First, your Berkshire Hathaway HomeServices network professional will pull up a competitive market analysis (CMA) to show you what homes are selling for within a reasonable radius of the home you want. They’ll have similar sizes, features and amenities. If the seller’s home is reasonably priced, offer asking price or close to it. To show the seller you’re serious, include a copy of your lender’s pre-approval letter, along with a cover letter summarizing your strengths as a buyer, including your creditworthiness and why you want this home. Include a copy of the CMA to show how you arrived at your offer price. Nothing shows a seller you’re serious more than cash. The larger the down payment you have, the better, because sellers don’t want to waste time on buyers who may not get their loans approved. Sellers won’t accept contingencies like waiting for your present home to sell. Your real estate professional will help you draft the offer with a price, estimated closing date and terms, and earnest money (a guarantee that you’ll perform as a buyer in good faith.) Once you and the seller have agreed to terms, you’re on your way to owning a home! © 2017 BHH Affiliates, LLC. An independently owned and operated franchisee of BHH Affiliates, LLC. Berkshire Hathaway HomeServices and the Berkshire Hathaway HomeServices symbol are registered service marks of HomeServices of America, Inc. ® Equal Housing Opportunity.